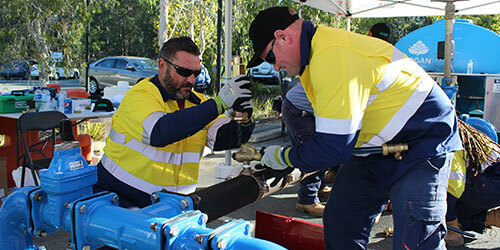 Following the successful Queensland Mains Tapping competition held last year in Logan, WIOA in conjunction with qldwater are thrilled to announce the QLD Mains Tapping Competition will again be conducted as part of this year’s Queensland conference. Spots will be allocated on a first-in-best-dressed basis. Entries will close on Friday 18 May. The winning team will get their names on the impressive perpetual trophy and the opportunity to nominate a local charity to receive a donation, kindly donated by competition sponsor Ixom.